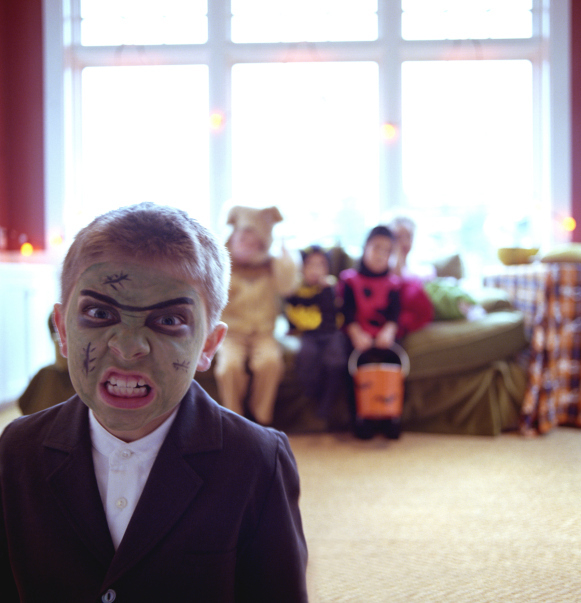 Do your financial facts frighten you? Maybe you’re afraid of skeletons in the closet. If you’ve been dying to know how to manage money better and get out of debt, here are some of the best tricks ever! Blowing the dust off your budget is a good place to start. If you’ve cleverly disguised it as a spending plan, make sure it’s not a ghost from the past. As our lives and money needs change, our budget is the glue that holds the delicate web of expenses together. Don’t turn your money management system into a monstrous task. Keep it simple. Use a spreadsheet, download an app, use a software program, or stick with pencil and paper. Related: Does Being Organized with Money Really Matter? If you’ve got a spouse or partner to help you, one of you might be better at handling the routine tasks, like paying bills, while the other may prefer to manage your savings and long-term planning. Draw on each other’s strengths, don’t keep spooky spending secrets from each other and work together. Keep cobwebs at bay in your savings account by actively using different bank accounts to save for different goals (some credit unions and banks will allow you to open multiple savings accounts for free or for a low cost). Setting savings aside so that you can pay for unexpected or periodic expenses with cash rather than credit will keep your budget alive. Every time you’re paid, carve up your pay cheque so that you know how much of it you’re spending and how much is being set aside for spending later. By using separate bank accounts it’s easy to see where you’re at with reaching your financial goals, or if you need to make some changes. Related: How Can Savings Help You Stick to Your Plan to Pay Off Debt? Does looking at your credit card statement and realizing how much you spent scare you half to death? Once listed out in black and white, debt can be a haunting reminder of what we spent our money on (and how little we have to show for it!). Pay off your high interest debt first and then start paying down other money that you owe. Becoming debt free is the biggest treat you can give yourself! The most wicked financial fact I can give you is that for many people, when they first create a budget, it’s just a skeleton of what it should actually be. They need to work with it, track their spending and add in all of the expenses that fully flesh it out. 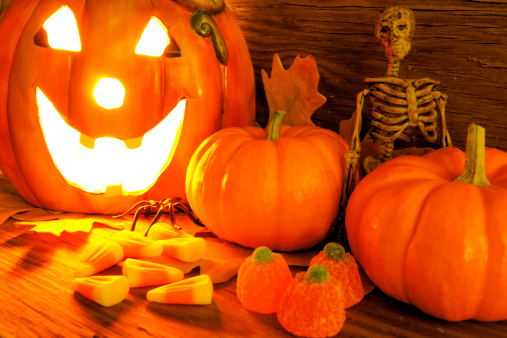 Then, much like carving a pumpkin, plan what you want your finances to look like. Set short and long term goals and then determine what you need to do to achieve them. For example, if you want to top up your RRSP contribution by $50 a month, or pay $100 more each month towards your debts, figure out where you can take a bite out of your spending elsewhere to come up with the money you need. Since it wouldn’t be right to leave you with more tricks than treats, here’s how to give yourself a treat for sticking to your plan to manage money better and get out of debt. Much like doling out treats to eager little trick or treaters on Halloween, treat yourself to some spending money each time you get paid. Put some mad money, allowance, or whatever you want to call it, into your budget, even if it’s just $10 a week. This is money that you don’t need to account for any further. You can spend it, save it, or give it away. It’s your reward for sticking to your budget. After all, a bone-chilling budget can get you through a month, but it won’t have enough life to get you through a true financial fright!